A year after launching in the U.S., Red Hat Inc.’s Application Platform Partner (APP) Initiative has arrived in Canada. Red Hat Canada is putting a lot of faith into a small, unique group of channel partners who will do a lot of heavy lifting and drive sales through discovery, innovation, testing, deployment and scaling. In Canada, the APP program will encourage partners to do this through one element of Red Hat’s portfolio – middleware, a series of digital tools that helps developers build applications and quickly move them across hybrid environments. Red Hat Canada president Luc Villeneuve told CDN that the company has set aside 50 of its 300 enterprise customers, who members of the APP program will market directly to. 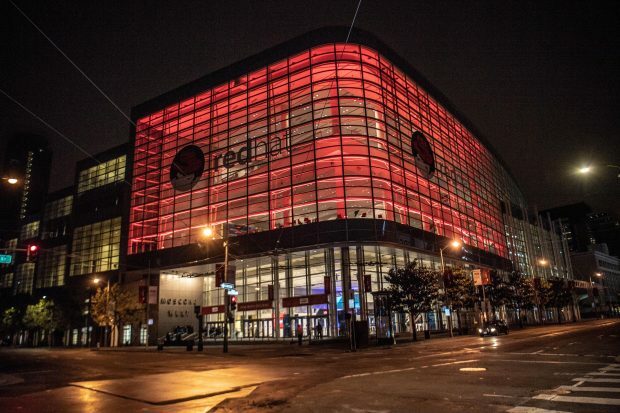 The approximately eight partners who have dedicated themselves to the APP initiative will also do wonders for Red Hat’s market coverage, said Villeneuve, estimating companies with APP credentials will help double his reach across the country. Although he didn’t offer further details, Villeneuve also hinted at a cloud APP program that will soon launch in Canada. When asked why it took a year for the new program to make its way up North, Villeneuve said the cost of entry was too high when it first rolled out in the U.S. Now, rather than certifying at least eight people within a company on Red Hat solutions, Canadian partners only have to certify two. The focus on only middleware solutions is also a change. D. Robert Martin, Red Hat’s vice-president of North American sales, echoed Villeneuve’s statement. “We set some very high bars at the beginning. So we decided to first make sure it works [in the U.S.], get the kinks out of it, then expand out. We actually went through that process very quickly, and I think we launched in Canada ahead of schedule,” he told CDN. Don’t expect the number of members in the APP program to be very high. Both Villeneuve and Martin stressed the importance of keeping the APP program a small, tight-knit exclusive group. As of May 2018, out of the eight partners who have agreed to go through the necessary certification and become an APP partner, only one has actually completed the process, according to Martin. Arctiq Inc. is a Toronto-based services led solution provider and the first company to officially be APP certified. Twenty months ago, Arctiq comprised of only five people. It has since ballooned to 15. Two of the company’s partners, Kyle Bassett and Mike Morrison, who helped start Arctiq, told CDN they decided to pivot their careers and start over at Arctiq together. The move has paid off. In addition to their staff’s growth, which they expect to increase even further in the coming years, customers are already lining up to ask for their help in their digital transformation efforts. While he didn’t cite a specific number, Morrison said they were able to make a big splash early without having to spend much on marketing dollars. Word of mouth, and their close relationship with Red Hat and open source technology, was enough to drive interest in what they had to offer. Arctiq doesn’t resell hardware or cloud platforms, but instead supports customers with DevOps consulting, automation and container technologies. And the numbers seem to indicate that customers are looking for guidance more than ever before. Villeneuve told CDN when he started working for Red Hat Canada in 2013, 38 per cent of the Red Hat’s business was through the channel. Now it’s 75 per cent. Martin suggested 100 per cent of their sales could involve channel partners in the near future. Arctiq also doesn’t have anyone dedicated to a sales role. Everyone hired is trained and specialized as a consultant. “We still have to go out and find the work, it doesn’t come that easy, but not having a traditional sales force or compensation model, has allowed us to remain focused and make our own decisions,” said Bassett. Morrison added Arctiq is a fresh face, which plays to their advantage since not a lot of companies are doing what they are. The company also works closely with Amazon AWS and EC2, Microsoft Azure, Google Cloud and IBM BlueMix. “We focus a lot on initial discoveries and workshops. It’s about going in and listening to their challenges,” he said. CBC was one of their earliest customers. Bassett said the news organization wanted its website to become more flexible and scale faster during major news events, such as the Olympics. Arctiq came along and, with the help of container technology, helped develop a solution. “In the old days, they would have to size for the worst case scenario. Now, they can scale for an average, and scale up quickly if they have to. It helps them control costs and manage other features. They’re still on this journey though, we just helped them build the foundation,” he said. Arctiq and Red Hat are certain a more collaborative approach to doing business is the way of the future. Morrison said they welcome more companies like them to join the ecosystem in Canada. But until then, they are happy to be a part of an exclusive group that is spearheading a new way of doing business and, perhaps more importantly, helping others who don’t have the resources, achieve their digital transformation goals, no matter how big or small those goals are.